Did you know birds don't actually sleep in the nests where chicks are hatched? They look for other, cleaner locations to roost. 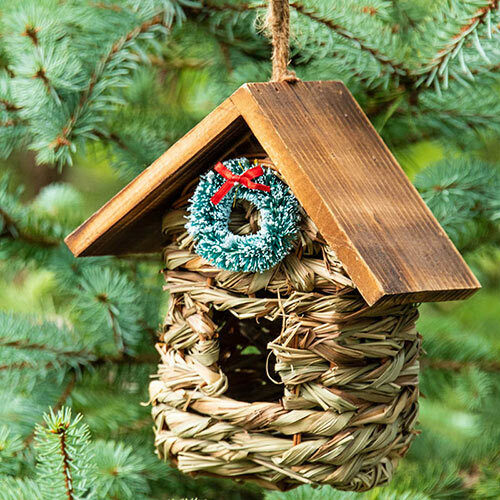 The perfect place for your feathered friends to doze should protect them from being spotted by hungry predators. It also needs to keep them warm, especially in the icy winter season. For small birds like chickadees, a roosting pocket is ideal. 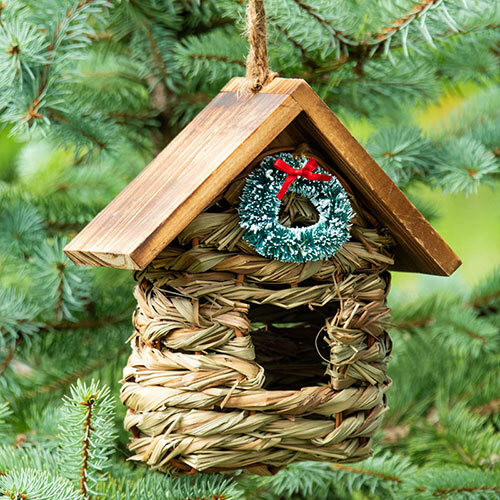 This sweet little holiday nook is made from reed grass. 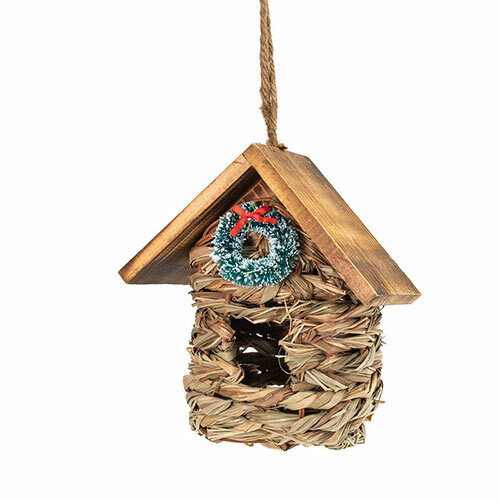 It includes a wooden roof and festive little wreath, so it makes a sweet holiday gift for fellow bird-lovers. It's also a lovely little surprise to find tucked amid the trees, bringing the lively beauty of overwintering birds to an otherwise solemn landscape. H7"xW6¼"xD3¾"